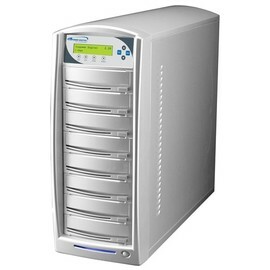 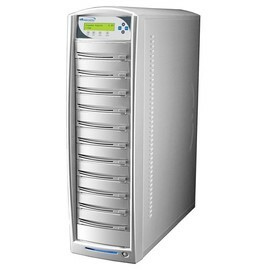 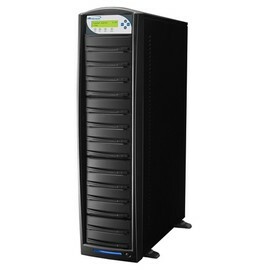 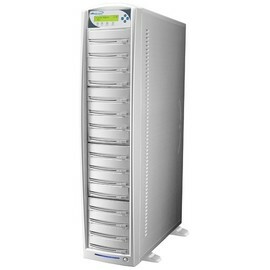 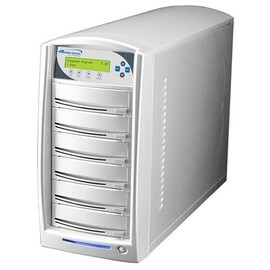 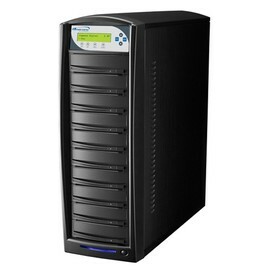 Introducing the next level in standalone duplication towers, the network capable SharkNet™. 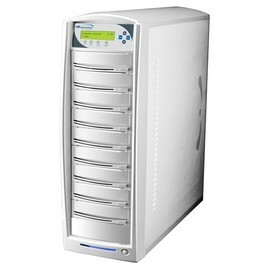 The SharkNet™ is not only the most advanced duplicator on the market, but is extremely simple to use. 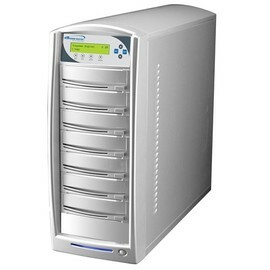 With the ability to connect to any PC within a given network offers convenience and security for any size office environment. 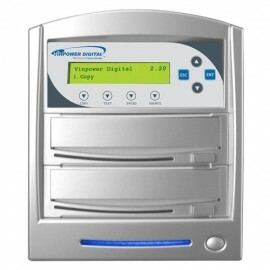 The network connectivity feature means the SharkNet does not require the person loading the file(s) be near or even in the same room as the duplicator. 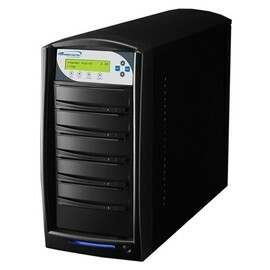 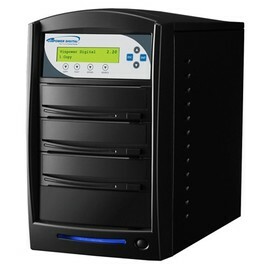 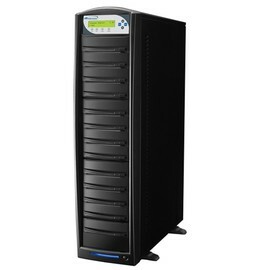 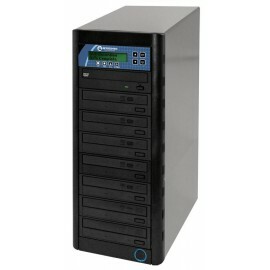 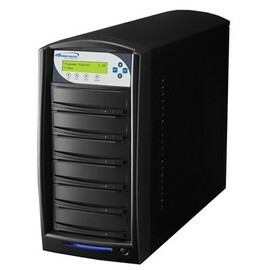 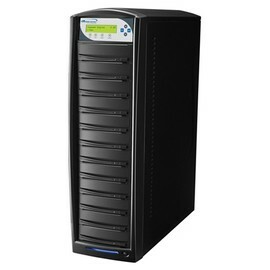 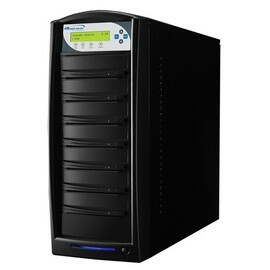 This allows a company to keep any quantity of manual tower duplicators in a safe optimal environment where users can transfer files directly onto the duplicator as apposed to the longer and more time consuming process of generating a master disc then loading it into the duplicator manually. Plus, by being able to sequester the SharkNet duplicator into a secure environment, where only authorized personnel can access it, provides a security feature preventing general employees from being able to make copies of unauthorized sensitive or confidential files. With the ability to copy all CD configurations, all DVD configurations including Dual/Double Layer discs, Blu-ray discs*, and print LightScribe* files, the SharkNet™ is the perfect solution for your duplication needs. The easy to operate control panel offers many advanced features such as; AutoCopy, Load and Copy, Account Management, Hard Drive Partition Naming, and much much more. 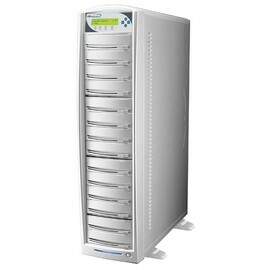 The SharkNet offers the largest memory buffer of any unit available today with 128MB on our standard models and 256MB on special models. 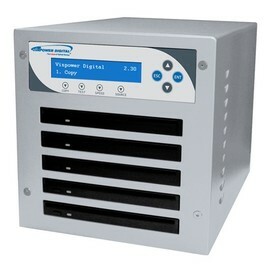 Beyond the attractive look of this powerful duplicator, the aluminum casing provides the highest protection against heat and dust, two of the most dangerous elements for a duplicator. This allows the unit to provide optimal performance for an extended period of time.